Meadville, PA — February 13, 2017 — Calvin Ernst, founder and president of Ernst Conservation Seeds, was recently named to a new 25-member advisory board made up of agriculture and associated industry leaders from across the Commonwealth of Pennsylvania. The new advisory board was formed as a component of a partnership initiated between the Pennsylvania Department of Agriculture and Team Pennsylvania Foundation (Team PA). Team PA is a non-partisan, 501(c)(3) nonprofit established in 1997 to connect private and public sector leaders to achieve and sustain progress for Pennsylvania. The new advisory board is charged with supporting Pennsylvania’s agricultural economic development by facilitating engagement with the private sector and fostering opportunities for productive partnerships. Some of the advisory board’s immediate priority items include working with the Department of Agriculture on its 10-year agriculture industry strategic plan; workforce development in preparation for an estimated 75,000 vacancies anticipated in the food and fiber industries by the year 2025; and mitigating barriers to economic growth by completing a comparative analysis of best practices in other states. A pioneer in the native seed industry, Ernst has received considerable recognition during his career, including the Atlantic Seed Association’s Honorary Seedsman Award; the American Agriculturist Master Farmer award; the Governor Raymond P. Shafer Distinguished Service to the Community Award; Pheasants Forever Outstanding Support Award; the USDA-NRCS Plant Materials Program Special Service Award; Friends of French Creek Farmer/Landowner of the Year; Gannon University’s Small Business Award and Crawford County Council of Farm Organizations Ag-Industry Award for Outstanding Service to Crawford County Agriculture. Ernst is a member of several trade, professional and conservation organizations, including the American Forage and Grassland Council, American Seed Trade Association, Inc., Atlantic Seed Association, Botanical Society of Western Pennsylvania, Chesapeake Wildlife Heritage, Ducks Unlimited, International Plant Propagators Society, Inc., National Federation of Independent Business, National Wild Turkey Federation, Native Plant Society of Northeastern Ohio, New England Wildflower Society, Pennsylvania Environmental Council, Pennsylvania Landscape & Nursery Association, Pennsylvania Native Plant Society, Pheasants Forever, Soil & Water Conservation Society, Southern Seed Association, Virginia Native Plant Society, Western Pennsylvania Conservancy and the Western Seed Association. 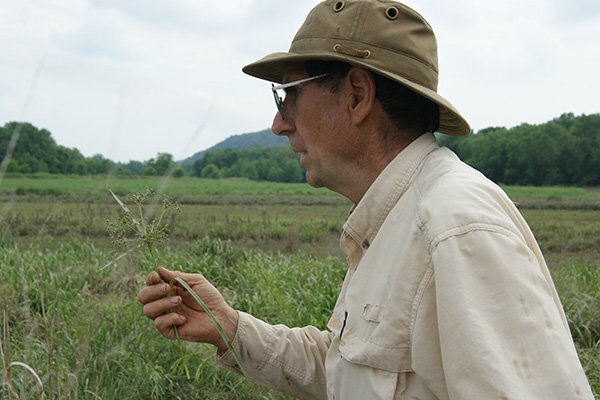 He has served as commercial representative for the Eastern Native Grass Symposium Steering Committee. He serves on the Biofuels Advisory Panel for the Chesapeake Bay Commission. He also serves on the board of directors for French Creek Recreational Trails, Inc.
For more information, or to view the Pennsylvania Department of Agriculture’s official press release, visit www.agriculture.pa.gov. Founded by Calvin Ernst in 1964, Ernst Conservation Seeds grows, processes and sells over 400 species of native and naturalized seeds and live plant materials to conservation organizations, landscape architects, reclamation/restoration contractors, government agencies and private landowners throughout the United States and abroad.